. I do not belong to that school of thought and never will be because with the release of Super Mario 3D World they have given me the best game I have played all year. Even before you make Mario, or any other characters you can pick from, jump for the first time the game is horribly outdated. There is no code on the receipt or in the case for worthless downloadable content and that, by itself, is rare in this age of console gaming. It is also a completly finished product without the need for any patches or updates to fix problems or press releases put out to say they are working on issues that should never be in the released game anyway. On the main menu you press a button and can jump straight to playing without the hassle of a store trying to sell you content that was left out of the main game to bleed you dry. Just imagine how depressing that would be in a Mario game if they allowed you to pay an extra twenty dollars to unlock all the worlds without having to play the game or cutting out the post game content so they can release in small bites over the course of a few months. Act now and get the Season Pass with four extra hats for Mario at a reduced price! It is disgusting and unacceptable but that is what would happen if Nintendo truly embraced modern gaming and tried running with the major publishers. Thankfully, Nintendo doesn’t listen to idiots who think Forza for Xbox One is something to be inspired by when it comes to game development. As usual for a 3D Mario game the actual gameplay itself is top notch. Every level changes things up or introduces new ideas to play with. You can tell when you play it that a lot of time and effort went to making every stage playable with whoever you choose. With the exception of a few character specific switches you never feel at a disadvantage because of who you pick. You really do have to play this game to get idea on how well it is designed. So many developers are going out of their way to remove as much gameplay as possible from games, it’s good to see something like this that crams so much into it. Outside of the standard main game, there are four special worlds that you can unlock which up the difficulty considerably. You can actually spend more time trying to beat one stage of the special worlds than it takes to complete Gone Home. 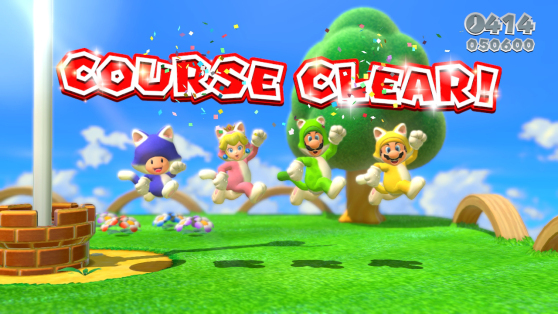 A game that some sites actually gave a higher score to than the gave to Super Mario 3D World. These reviewers also get offended by Princess Peach wearing a (trigger warning) pink dress. 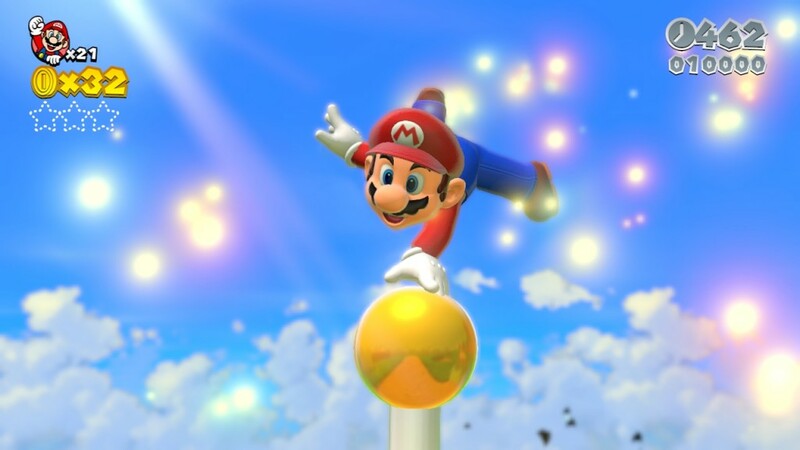 The simple act of Mario jumping has always been a gold standard in game design and it still holds true. Even though the game plays like dream the visuals and sound are just as good. 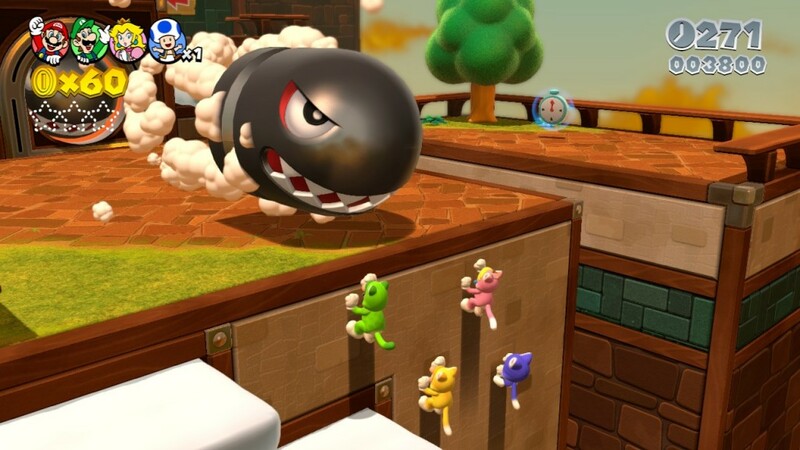 There really aren’t many games as colorful as Super Mario 3D World and if there are, Nintendo probably makes them too. Everything is vibrant and pops out lighting up your whole room. On the music side of things Nintendo learned a long time ago about how important it is to a game and outside the New Super Mario series and its “bahs” they they rarely fail in that regard. WIth the exception of maybe a Zelda game this is the best soundtrack to any game they have ever done and it has callbacks to the best tracks in Mario’s history. I really can’t think of anything wrong with this game. It really shouldn’t even exist in this era of gaming they way it is presented. There is a certain purity to it that I doubt any major publisher or developer would ever attempt to try to recreate simply because it’s considered bad business. It is a game you buy and play and that’s all it tries to be. While most games aim for your bank account after the initial purchase Super Mario 3D World aims at your heart. It’s real stupid and cheesy to say that but it’s the truth. 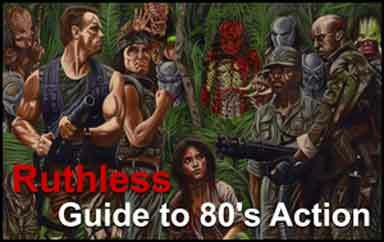 It’s absolutely amazing and a blast to play from to start to finish and everyone should give it shot. Albert has a PhD in Nerdish Studies from the University of The Streets.